Please see the Parish Newsletter for more information or the Parish Schools page. The Sacrament of Reconciliation is available each week during Exposition of the Blessed Sacrament on Saturday mornings between 10.00 a.m. and 10.50 a.m. Confession usually takes place in the St Joseph's Chapel, at the main entrance to the Church. Confession is also available on a Tuesday evening after 6 o'clock Mass or by appointment - please contact one of the priests to arrange a time. 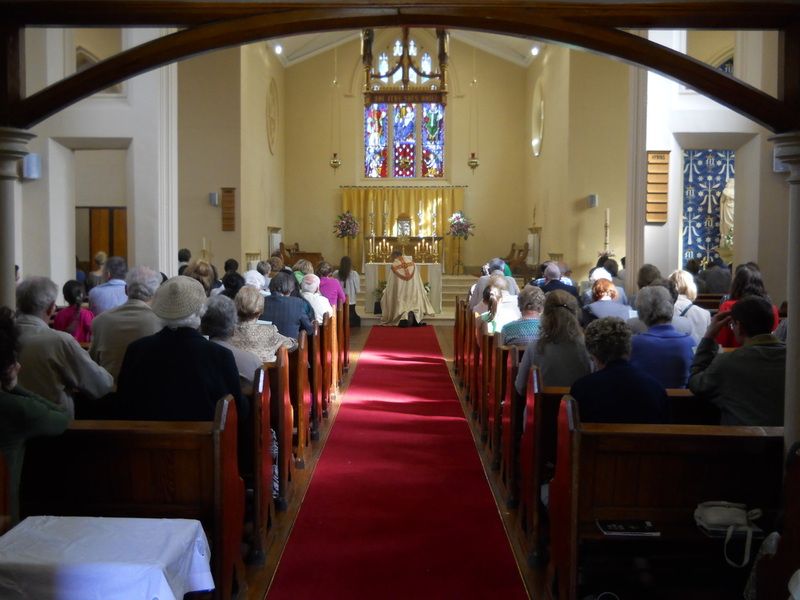 Exposition of the Blessed Sacrament takes place twice a week at Our Lady of Mount Carmel. This is a precious time of silent prayer before the Blessed Sacrament that takes place on Thursday 6.30 p.m. - 7.00 p.m. and Saturday 10.00 a.m. - 11.00 a.m.
On the second Tuesday of each month, Mass is celebrated in the Extraordinary Form (Latin) at Our Lady of Mount Carmel. Mass begins at 6pm. Please see the Parish Newsletter for more information. Holy Mass is celebrated in Malayalam according to the Syro-Malabar rite on the First Saturday of the month at 6:45 p.m. Please see the Parish Newsletter for more information. For more information, or addresses, please see the Mass Centre page.